1. Make a Video doing anything creative to #RhemySayYes song. 2. Upload on your Social Media and i will repost. 3. 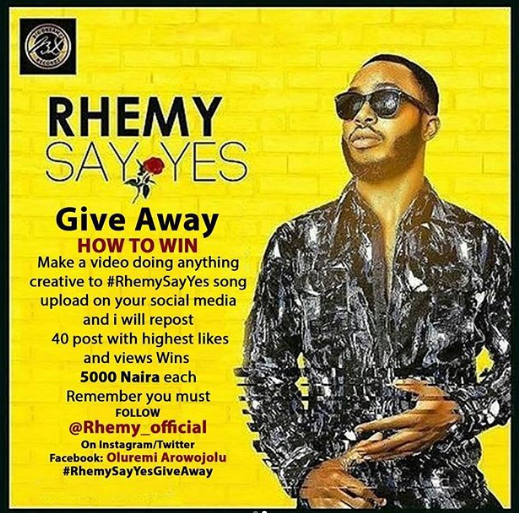 40 Posts with Highest Likes and Views wins N5000 Each. @Rhemy_Official on Instagram / Twitter.